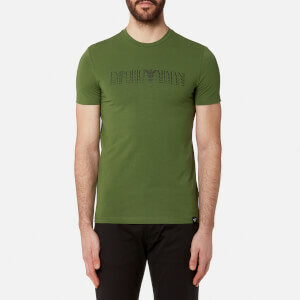 Men’s navy T-shirt from Italian fashion label, Emporio Armani. 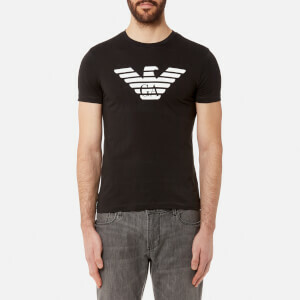 Crafted from soft cotton jersey, the tee is designed with the brand’s iconic eagle logo print on the chest. Complete with a ribbed crew neck, short sleeves and a straight hem.